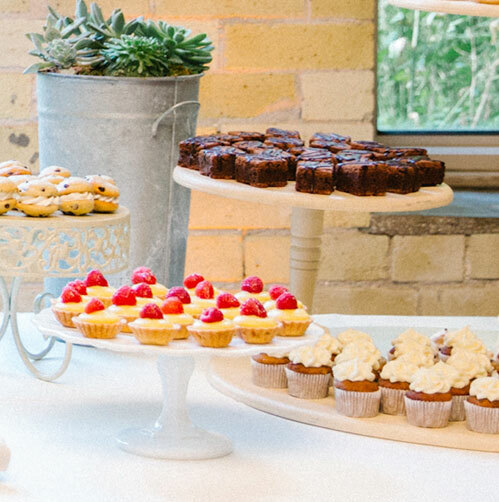 Dessert tables are a growing wedding trend among many brides who are looking for something unique that represents their style and taste. Maybe you want to offer a spread of from-scratch desserts or maybe you’re just not a cake person. Here are 5 choices that will be sure to please all of your guests and at the same time create a beautiful (and tasty) display! These are a great option if you love comfort food. One of the best things about handpies and/or pie pops is being able to incorporate seasonal, fresh fruit into your dessert table. For example, in June you could offer fresh strawberry rhubarb handpies and in October you could offer caramel apple. Miss Molly’s Pastries uses organic fruits and locally sourced whenever possible to ensure the best flavor! 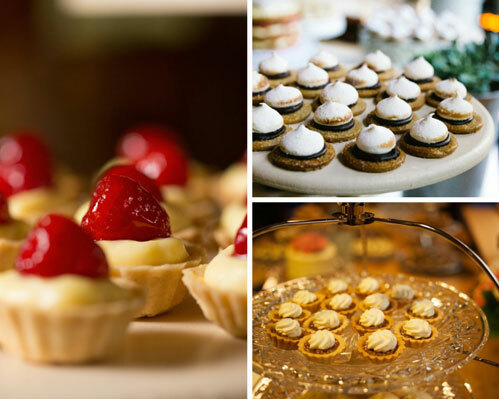 Tartlets are a great option for a few reasons. First, the combination of crunchy and creamy is always appealing. Second, the flavor combinations are endless. Three, the presentation of tarts are very versatile, they can either look classic and elegant or very rustic and homemade. Macarons are a classic French meringue cookie made with almond flour. Macarons are an elegant as well as fun choice that are versatile because they can be made in many different flavor combinations and colors. Fill a trifle dish with them and let your guests dig in! 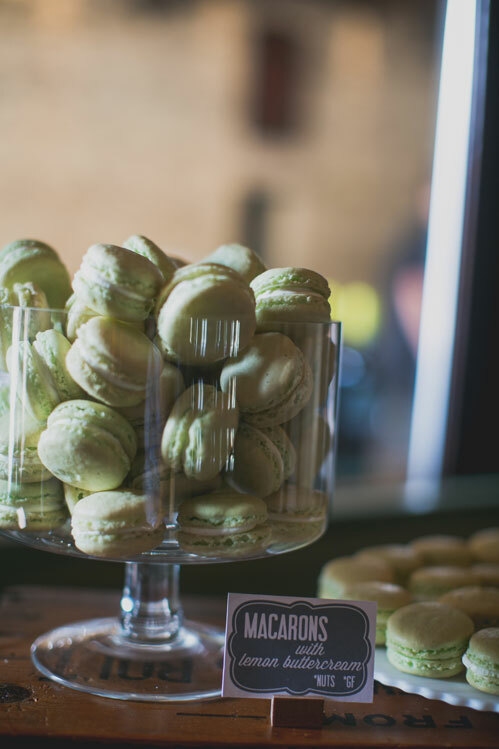 Macarons are also gluten-free which is just an added bonus! You love brownies and your fiancé loves cheesecake. We’ve come across this predicament before. Offer both! All items on a dessert bar are bite sized so you don’t have to decide on just one item. 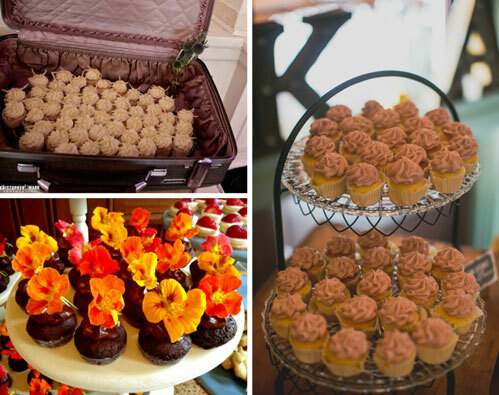 Brownies and cheesecake are always popular items at weddings because they are American classics! A lot of large bakeries and cupcake shops use artificial flavorings and cheap ingredients to get the job done. This results in dry cake and overly sweet frosting. So what is the alternative? Cupcakes that are made with natural and fresh ingredients. For example, a very popular cupcake flavor of Miss Molly’s is Strawberry Cupcakes with Champagne Buttercream with an Edible Flower Garnish. The cake is made with fresh, organic strawberries, not strawberry flavoring. The buttercream is real Italian Meringue Buttercream flavored with champagne that is reduced into a syrup. The edible flowers are from Growing Power and offer a beautiful and natural decoration. See the difference? If not, trust us, you’ll certainly taste it! 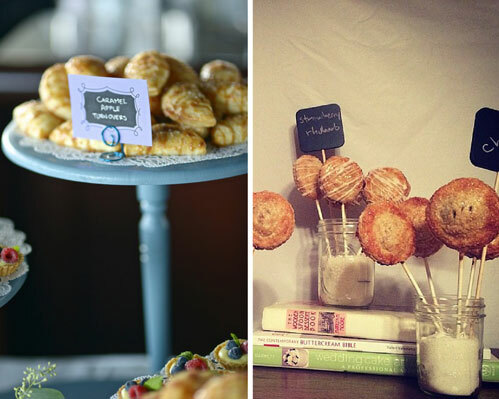 Dessert bars are a sure way to please your guests as well as a fun way to add creativity to your wedding. You don’t have to miss out on the cake cutting ceremony either, you can order a small cutting cake to be displayed in the center of your dessert table. Visit www.missmollyspastries.com for our full menu of from-scratch, all natural desserts & cakes. Email molly@missmollyspastries.com or call 414-530-1065 to book a tasting.